Update 2/10/2017 – We have put together a new guide which walks you through this same set-up process using the newer, infinitely nicer BLHeli Configurator Chrome app. Click here to check it out. If you want the best performance out of your miniquad racer, we highly suggest you use BLHeli ESCs. This is because these ESCs have been developed solely with quadcopter performance in mind. 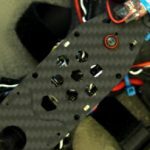 They integrate with your flight controller software to provide some really neat functionality and the software that runs on these ESCs is constantly being improved. 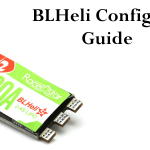 This article provides step-by-step instructions on how to configure freshly-flashed BLHeli ESCs so that they all have the correct settings and so that your props are spinning in the correct direction. If you’ve just finished building your quad, we recommend you start out by flashing your flight controller and ESCs. This is outlined in the previous article in this series. Now lets get started! Remove your props. You will be spinning your motors up and down throughout this process. Remove your props so you don’t hurt yourself or break your quadcopter. Close Betaflight Configurator or Cleanflight Configurator, if open. Launch BlHeliSuite.exe on your computer. Note: This is saved when you close BLHeliSuite – you only have to do it the first time. If you have the PWM Frequency / Damped option available in BLHeli, press the right arrow until it reads “Damped Light”. This is one of the most important features to enable, as we described in our intermediate pilots article. 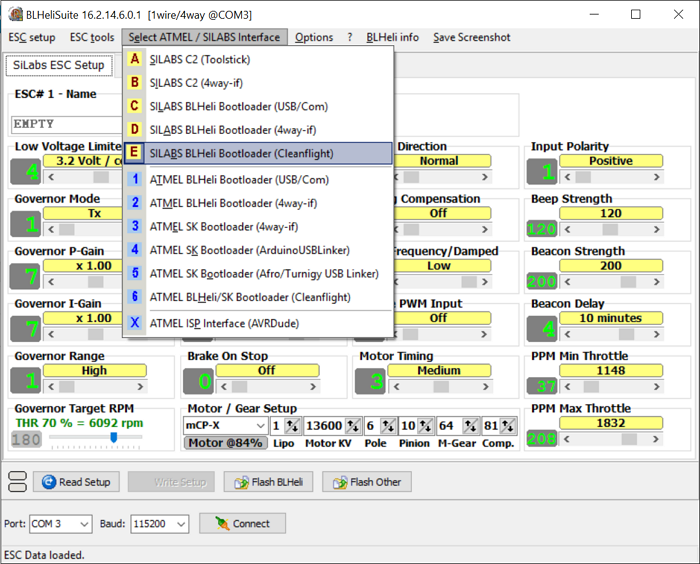 Note: This option is enabled by default on BlHeli_S ESCs and therefore is not available in the BlHeliSuite GUI for those ESCs. Change PPM Min Throttle and PPM Max Throttle. I like to use a value of 1016 for my min throttle and 2000 for my max throttle. The reason for doing this is to give you a larger throttle range for your ESC to work with, which improves precision of flight. If you configure it this way it also means you can follow our flight controller set-up instructions later. Click “Write Setup” to save your settings. Go to the “Motors” tab. Your ESCs will immediately arm. 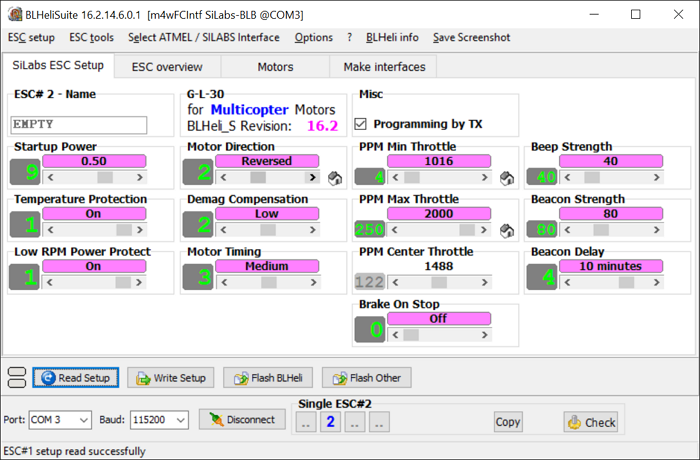 Click the “I understand the risks” checkbox to enable motor control. If they do not, change around the ESC signal wire plugs into the flight controller until they do. 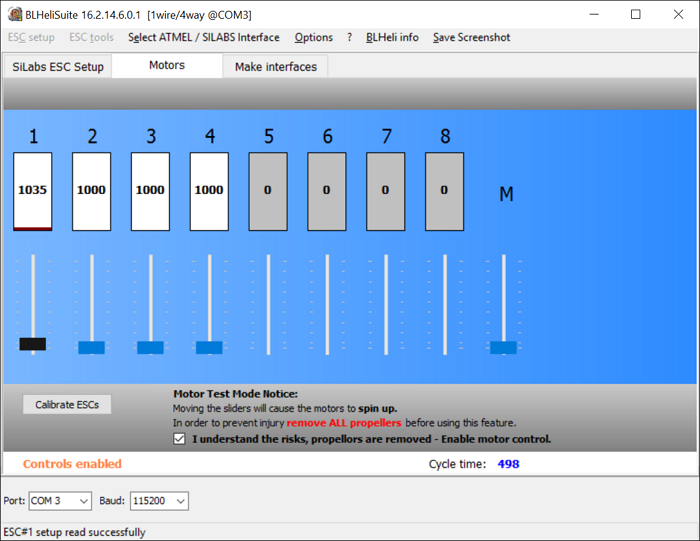 Next, power up each motor and check the rotation direction. Write down which motors rotate in the wrong direction. Tip: An easy way to remember motor/prop direction is to remember that the props always rotate inwards towards the center of the quadcopter when looking at it from the front or rear. Go back to the “SiLabs ESC Setup” tab. BlHeliSuite had to disconnect in going to the Motors tab. Reconnect by pressing “Connect” and “Read Setup”. 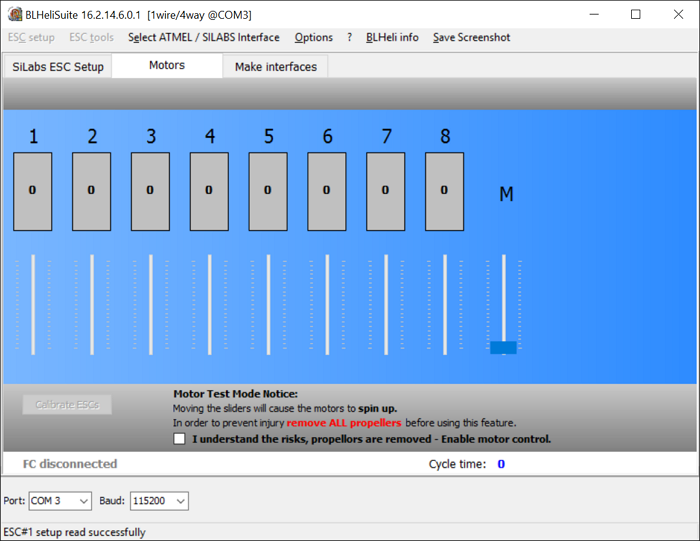 Deselect all of the motors by clicking each number in the numbered buttons adjacent to the “Disconnect” button. Click the button for the motor number. Change the “Motor Direction” value to the opposite that it is currently set to. e.g. if it is “Normal”, change it to “Reversed”. Click “Write Setup” to save the change. Click the button for the motor number to de-select it. Repeat steps 13-17 to verify all motors are now spinning in the right direction. How to build a racing drone | ESC installation!